A symbol is local to the project and cannot be accessed directly from other scenes. 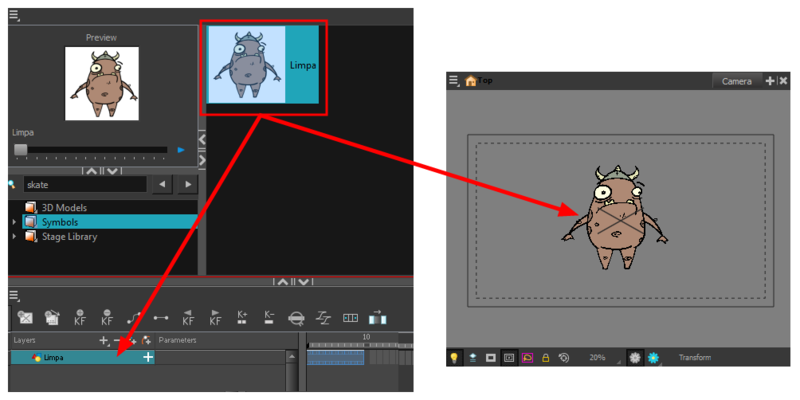 To reuse a symbol's content in another scene, you must create a template. This conversion breaks the drawing's link with both the original scene and symbol. It then becomes a separate entity that you can import into other projects. From the Library view, select the symbol to convert into a template and drag it to the Camera or Timeline view. If you drop your symbol into the Camera view instead of the Timeline view, it will not be placed in the centre of your camera frame, but rather wherever your cursor drops it within the camera frame. 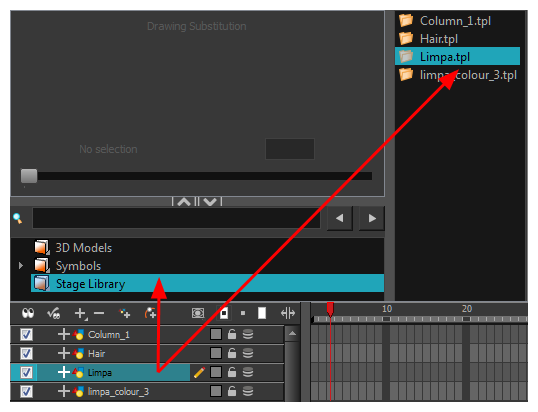 In the Timeline view, select the symbol's cells or layer and drag it to the Stage Library folder or to any other library folder. Make sure you have the right to modify the library folder.